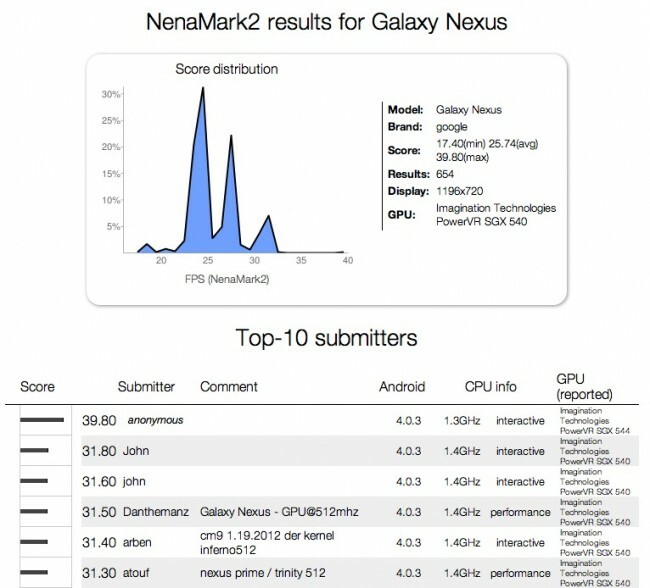 New Galaxy Nexus Running a TI OMAP4470 Chip Gets Benchmarked? Google and Samsung wouldn’t actually drop a higher-end Galaxy Nexus on us, would they? If the NenaMark benchmark that you are seeing above is to be believed, that’s exactly what could happen. Aside from being impressive, the benchmark lists a PowerVR SGX 544 GPU which just so happens to be the same GPU in TI’s OMAP4470 processor. 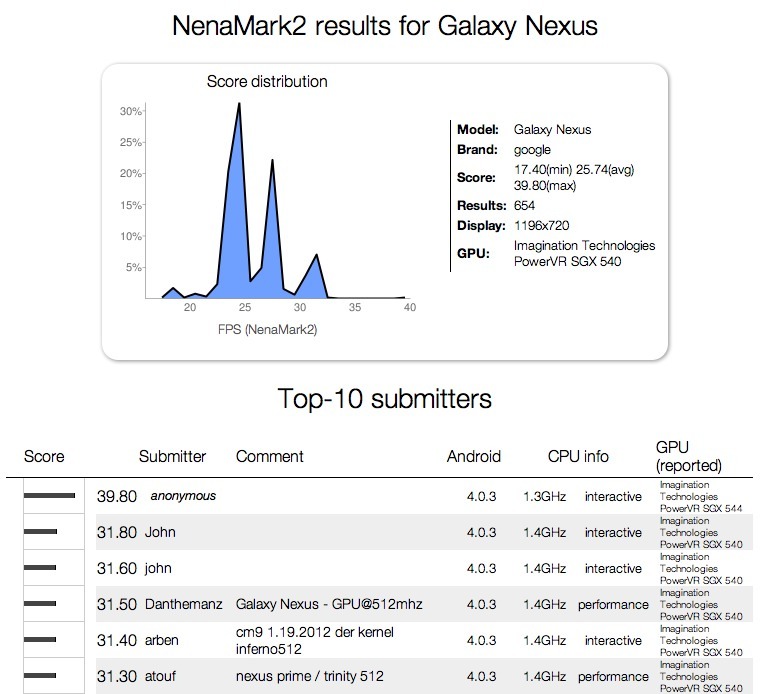 As you all know, the current Galaxy Nexus is running TI’s OMAP4460 with a SGX540 GPU. The SGX540 is no slouch, but the SGX544 can apparently run circles around it, something that is made clear in the benchmark above. The 4470 can also run at up to 1.8GHz even though in this benchmark it appears to be underclocked to 1.3. TI announced in June of 2011 that the OMAP4470 would begin shipping in devices during the first half of 2012. Could someone have spoofed the GPU in the result? Maybe, although it would seem as if they would need to go through quite a bit of work to do so. Maybe they spoofed the name of the device instead? Tough to tell. What we do know is that Sprint is getting a G-Nex in the very near future and they have yet to open up about the specs. We all saw the premature ad for the device before CES showing that it has a 1.5GHz dual-core processor. We also saw a set of brief hands-on coverage for it a week later when it was announced, but no mention of the internals. I think most of us assumed it would be identical to the Verizon LTE version, however, you have got to wonder a bit now. A lot of questions that we would love answers to.